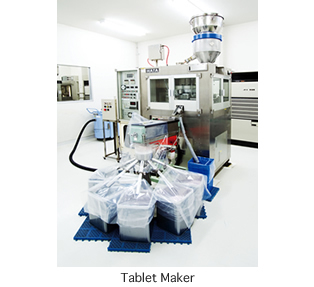 Dietary Supplement OEM (Contract Manufacturing) Production System｜API Co., Ltd.
Production SystemProduct Diversity. Low Cost. 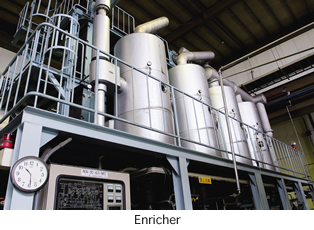 We achieve reliability, safety and low cost with fully-integrated production in our own plants. 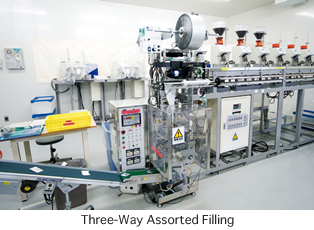 Based on the concept of fully-integrated production to meet any needs swiftly, API has all the equipment necessary for formulation and all types of filling and packaging. 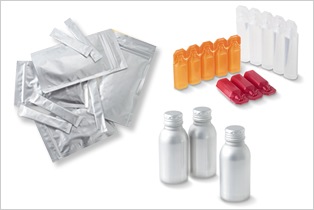 Since we do everything from ingredient preparation to manufacturing under one roof, we offer quick, safe and low-cost service. We only use ingredients that have passed our stringent screening process. 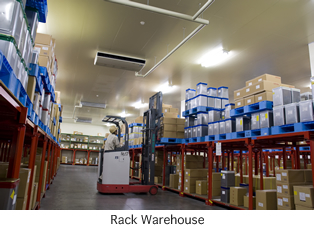 We also have a fully-equipped constant temperature cold storage warehouse to keep ingredients in the best condition. 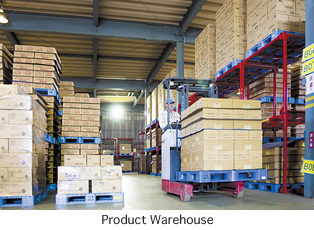 In addition, we control temperature and humidity when we store products and have a rack warehouse that allows us to quickly ship only the number of products needed at any given time. 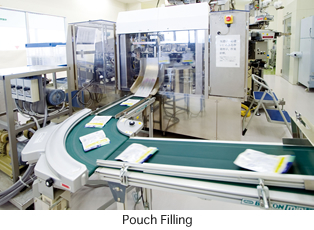 API possesses excellent processing technology for creating health foods. 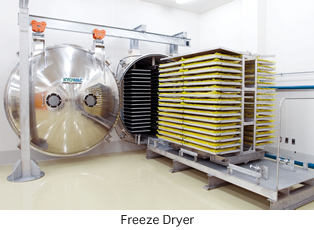 We have earned a reputation for our vacuum freeze-drying technology, our fermentation technology that boosts the nutritional value of raw materials, and our technology for enriching and distilling natural extracts. 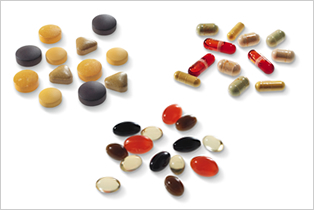 API operates various processes for making compacted powder tablets, hard capsules filled with powder, granules or liquid and gelatin-coated soft capsules, all of which are suited to health foods.We also formulate coatings to make tablets easier to swallow. 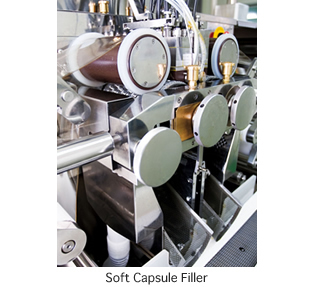 We can pack capsules and fill all kinds of containers, from aluminum packs and blow packs to sticks. With our equipment we can fill packages with a wide array of materials, and we only ship products after they have been carefully inspected.